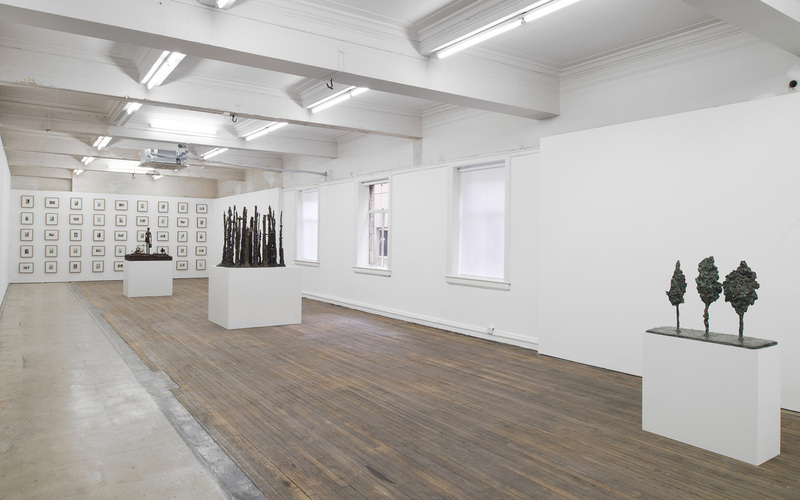 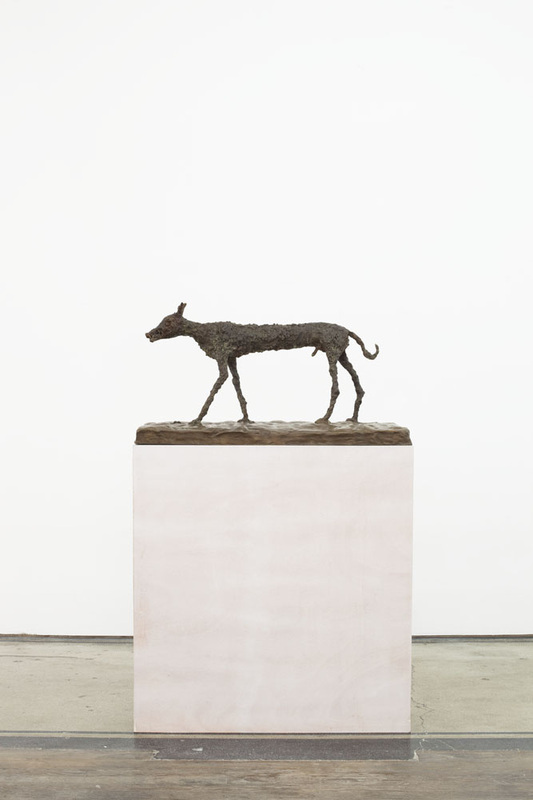 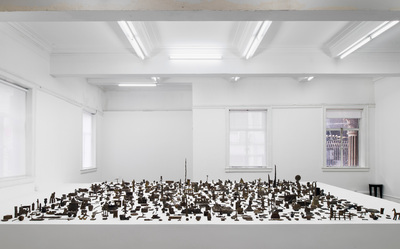 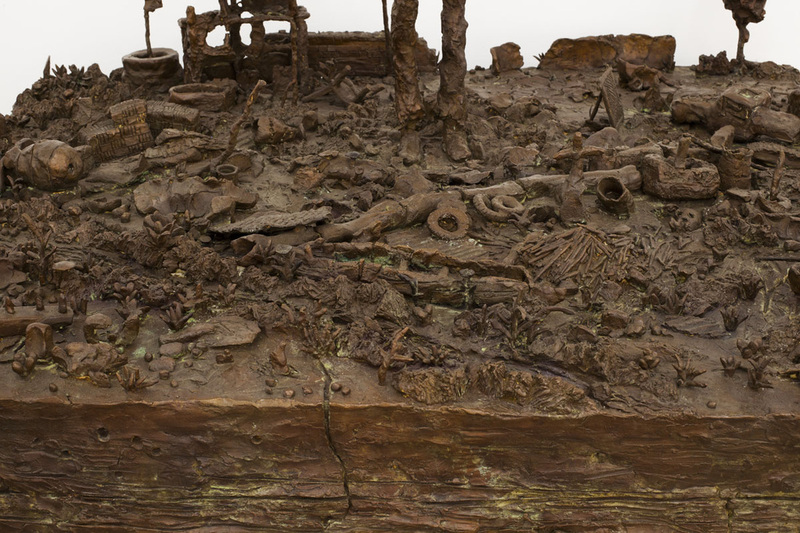 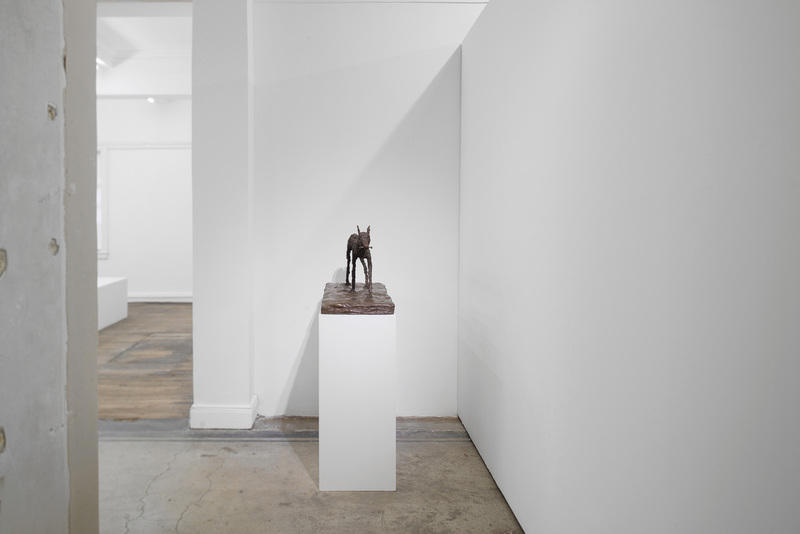 In DETRITUS, Ouyang Chun’s first solo exhibition at BANK, the artist debuts a series of bronze sculptures inspired by the detritus of civilization and painstakingly fabricated from molded earth. Discarded junk, madhouses, vagabonds, rabid dogs, and swelling megalopolises all figure into the artist’s skeptical yet humorous view of modern society. 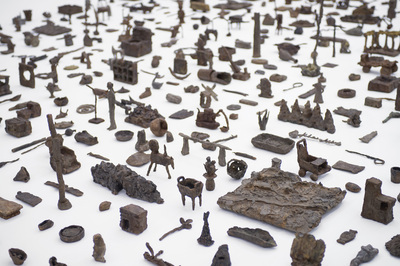 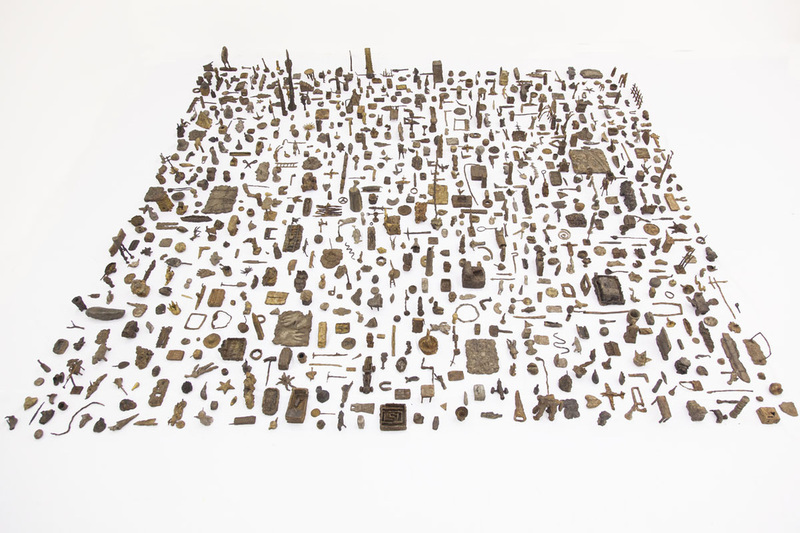 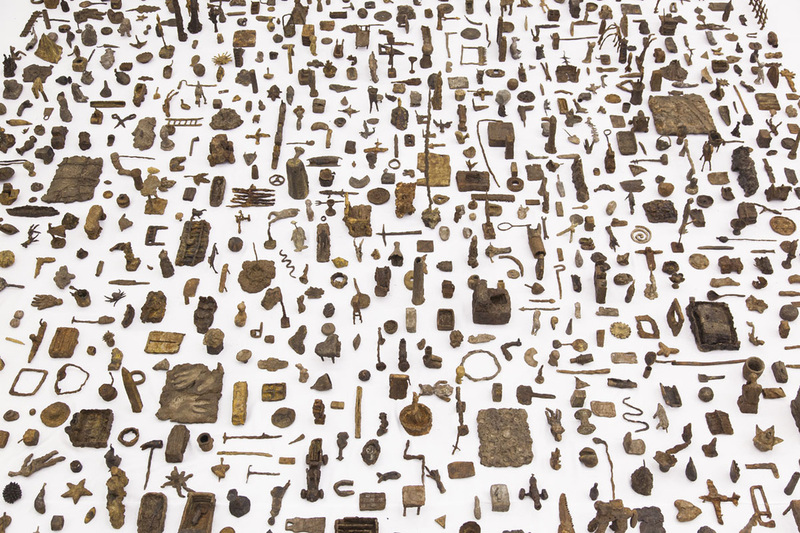 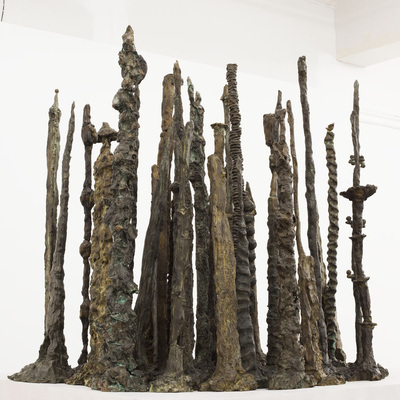 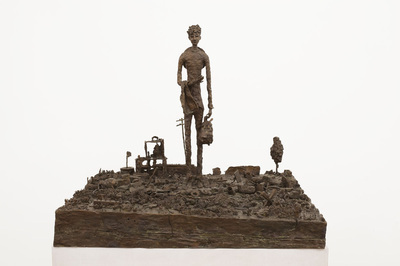 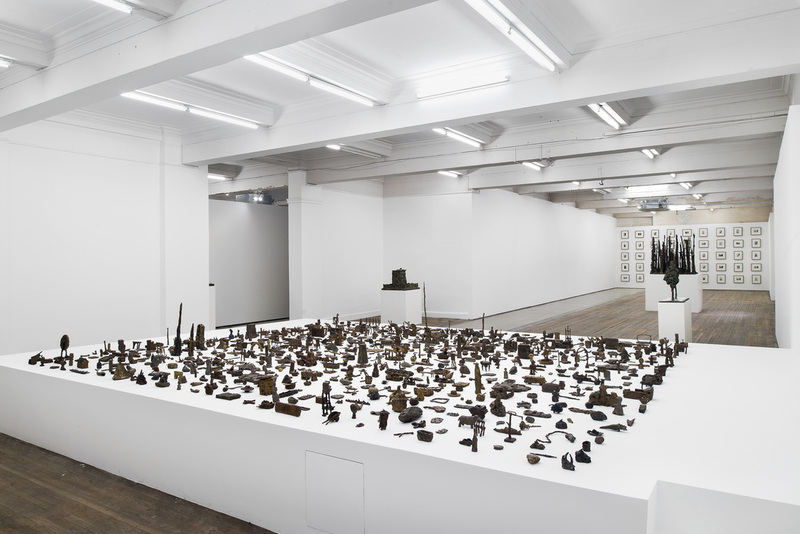 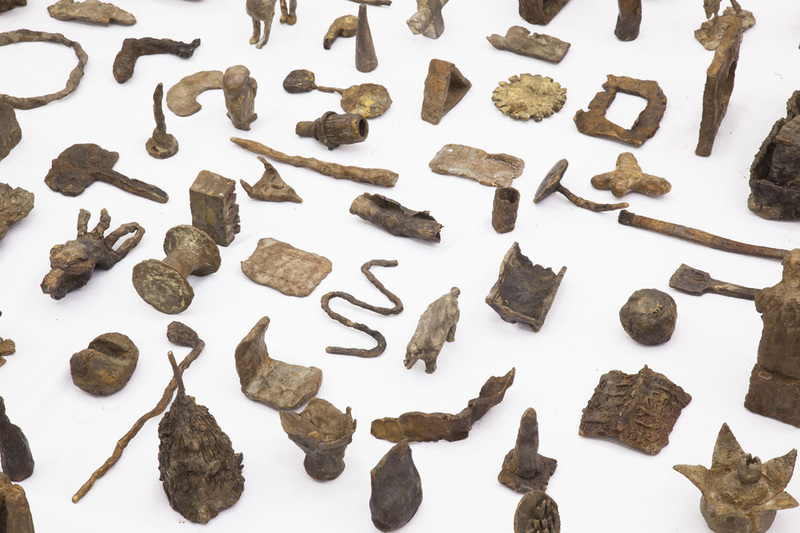 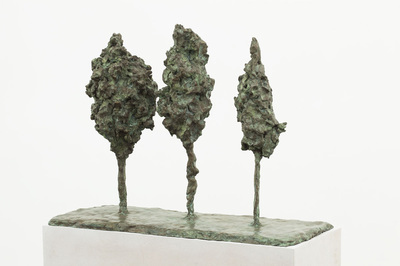 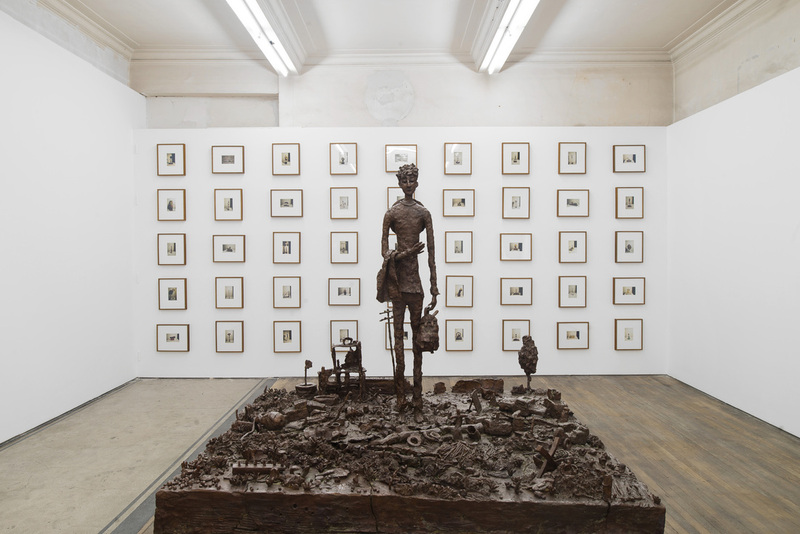 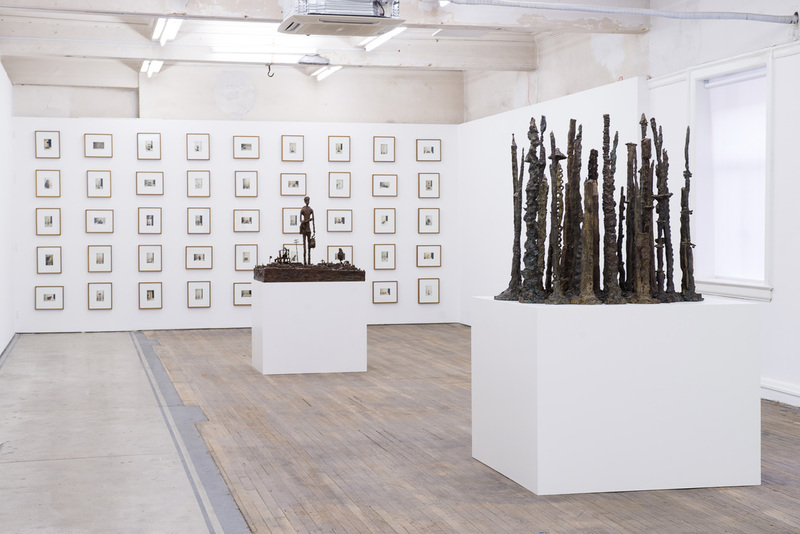 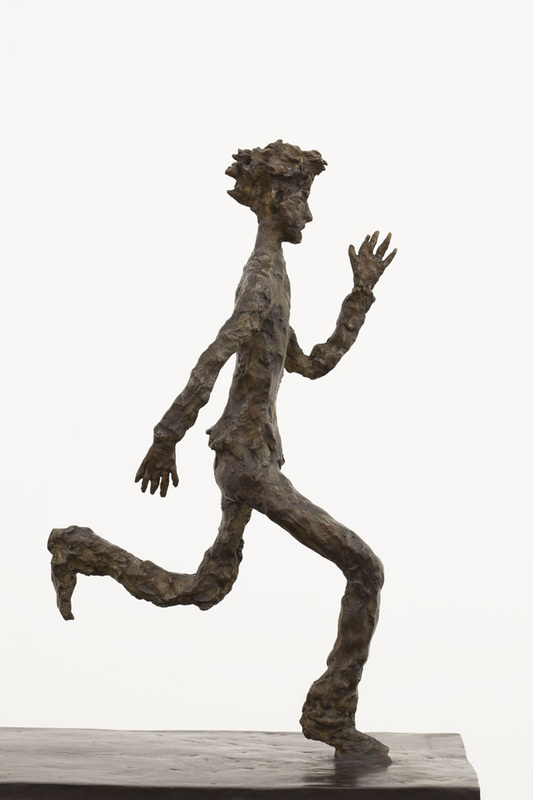 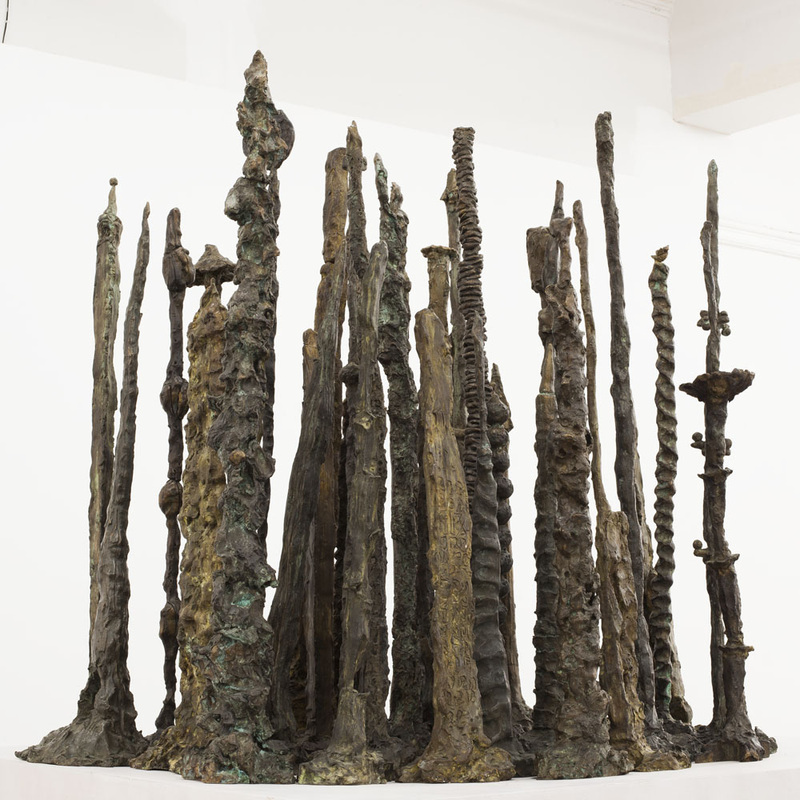 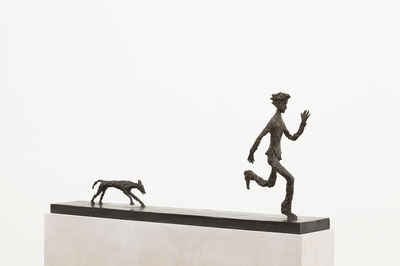 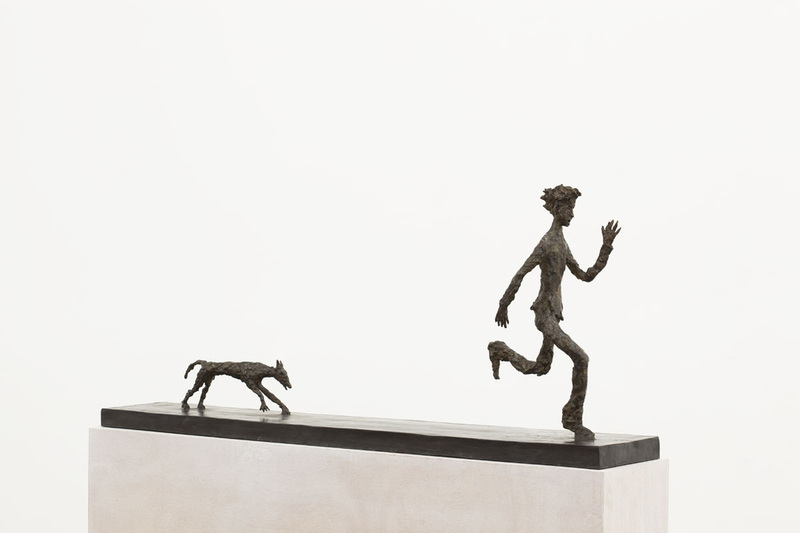 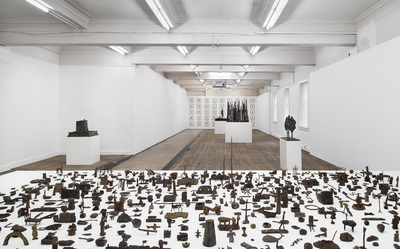 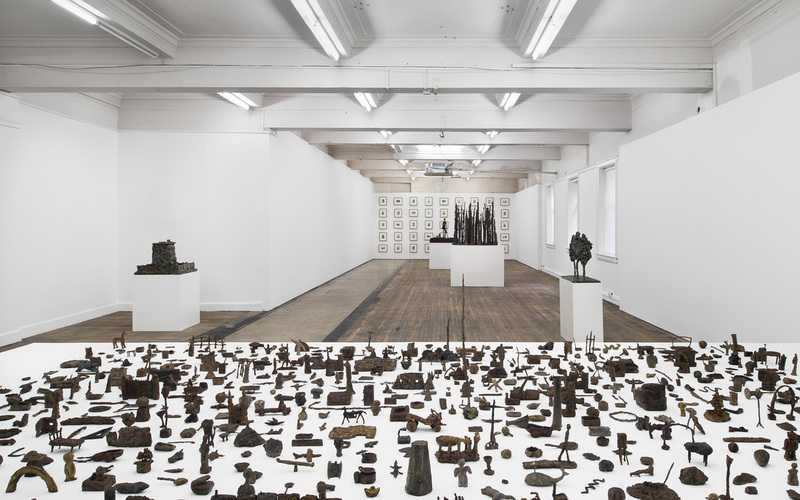 These bronze works are shown in tandem with photographs taken of assemblages that the artist made from debris picked up along railway tracks on the outskirts of Xian. These early works helped to define the distinct language of Ouyang’s youthful style and narratives. 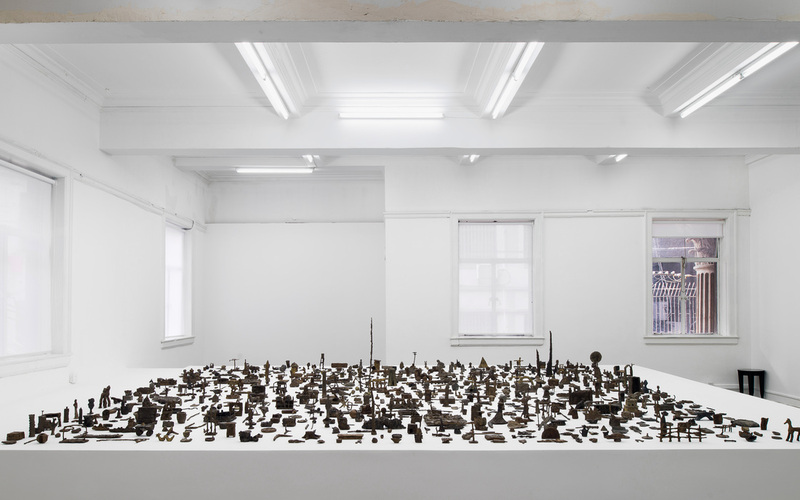 Ouyang Chun’s (b. 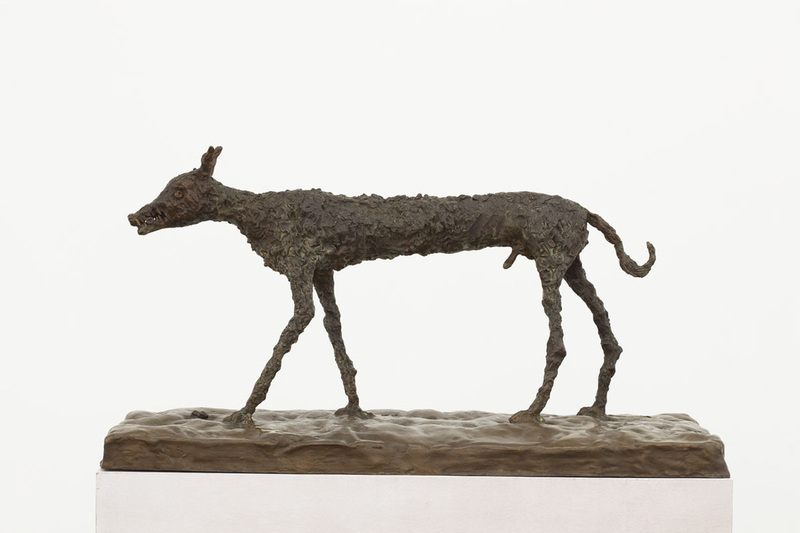 1974, Beijing) expressive, childlike paintings helped to position him as one of the foremost representatives of his generation. 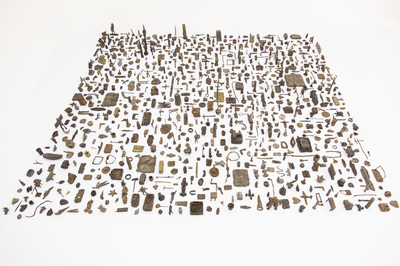 He currently lives and works in Beijing.